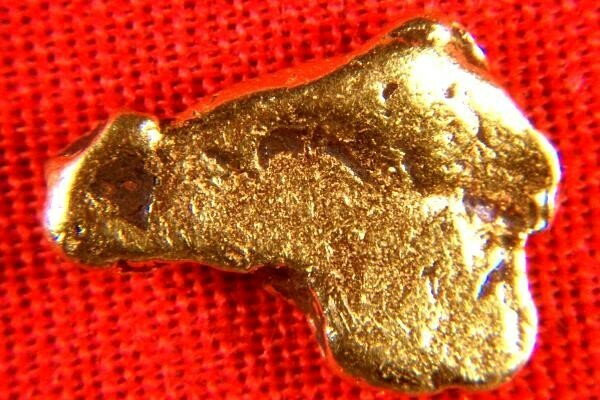 This natural gold nugget from the Yukon territory in Canada is very rare and unique, it is shaped like a cow head. You can see the whole face, head, nose, horn, ear, in profile. 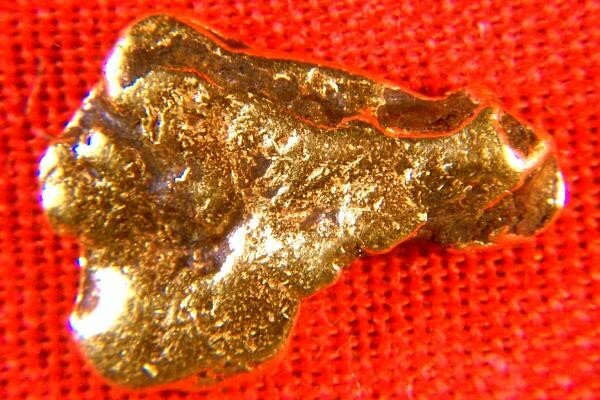 It is very rare and unusual to find gold nuggets in such distinct shapes like this. This Yukon gold nugget is 7/16" (11 mm) long and the weight is 16.1 Grains (1.04 Grams).